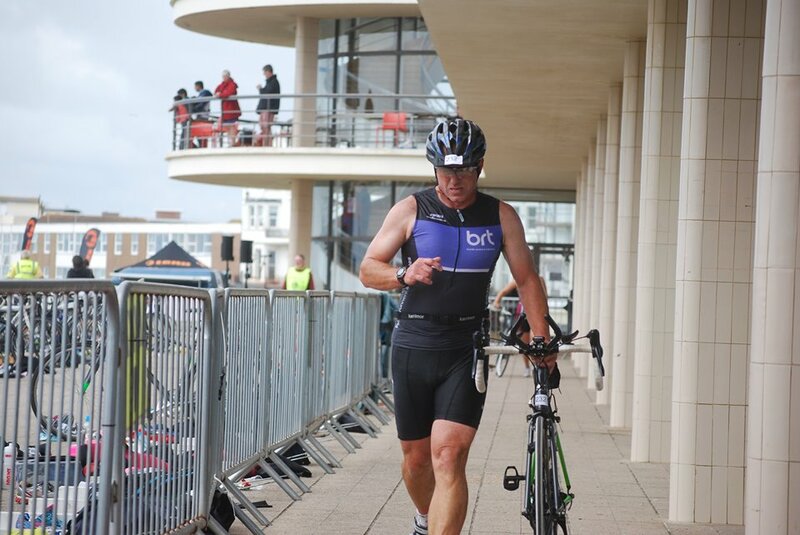 Great racing on the seafront on a glorious summer day with 7 members competing in either the Classic Duathlon (4km run 40km cycle10km run), Sprint Triathlon (750m swim 20km cycle 5km run) or the Standard Triathlon (1500m swim 40km cycle 10km run). 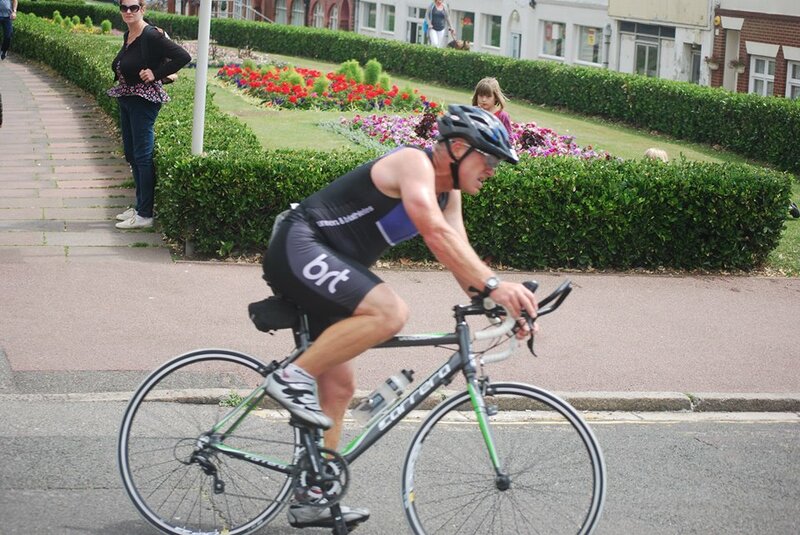 5 members opted for the Sprint Tri. 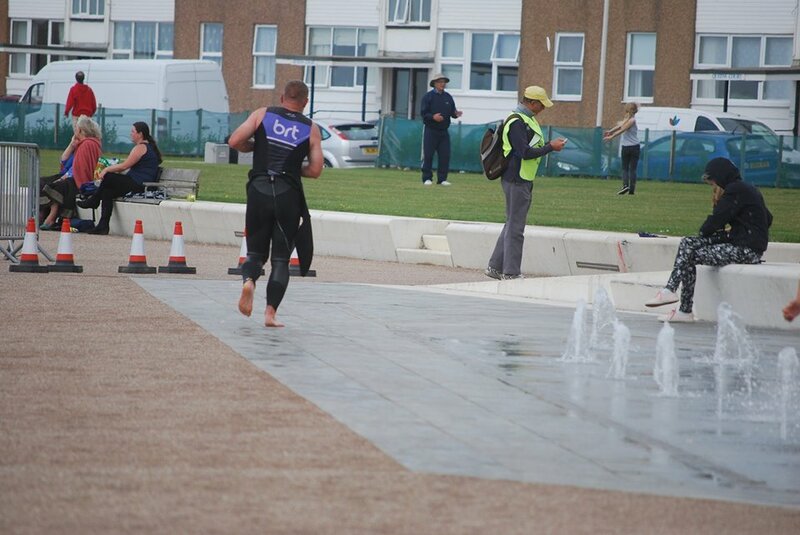 The sea swim is always a challenge especially with a strong undercurrent. 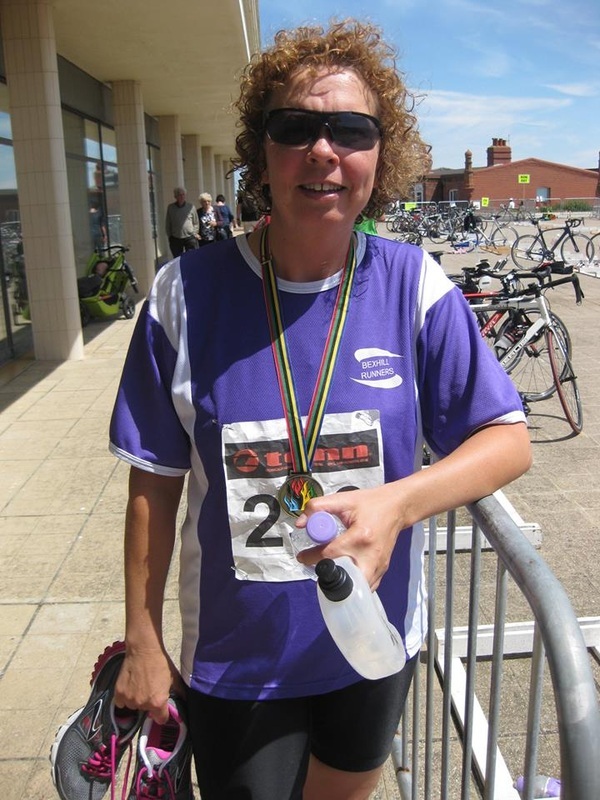 Lorna Cotter bravely battled on but found the bouy she was aiming for wasn't getting any closer! 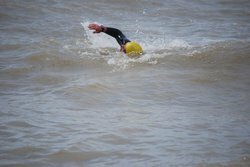 Very well attempted as Lorna has only recently started sea swimming and the experience she gained was invaluable for her next attempt. 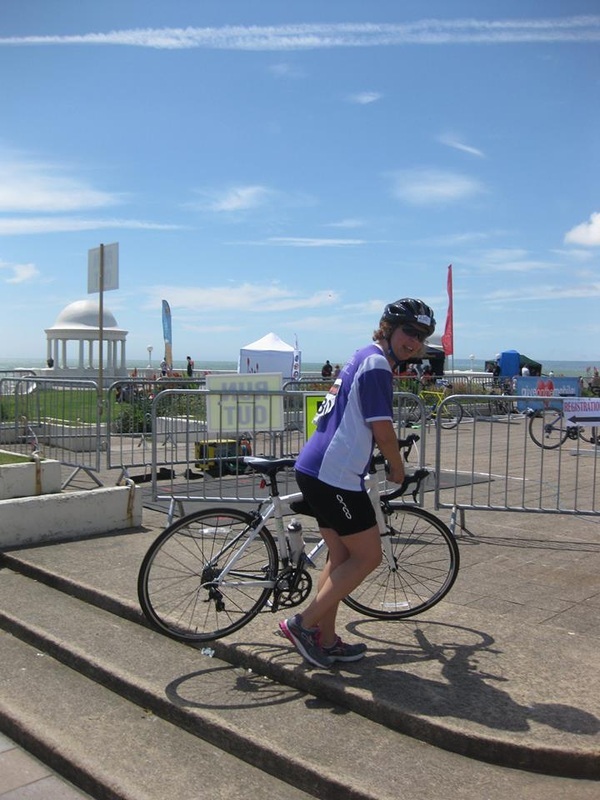 She went on to complete the bike & the run in true brt spirit! A few pictures below courtesy of Pip Parry & Lorna Cotter.